Goodbye to the Seam Ripper! how often has this happened to you? Well, thanks to modern quilting, this no longer means reverse sewing. This is a modern disappearing 9-patch! Just slice it into quarters and voila! then comes the fun part, where you get to play around and come up with all kinds of designs! And yes, I do realize that eight blocks do not a quilt top make but these are for a Modern Quilt Guild block of the month drawing next month. 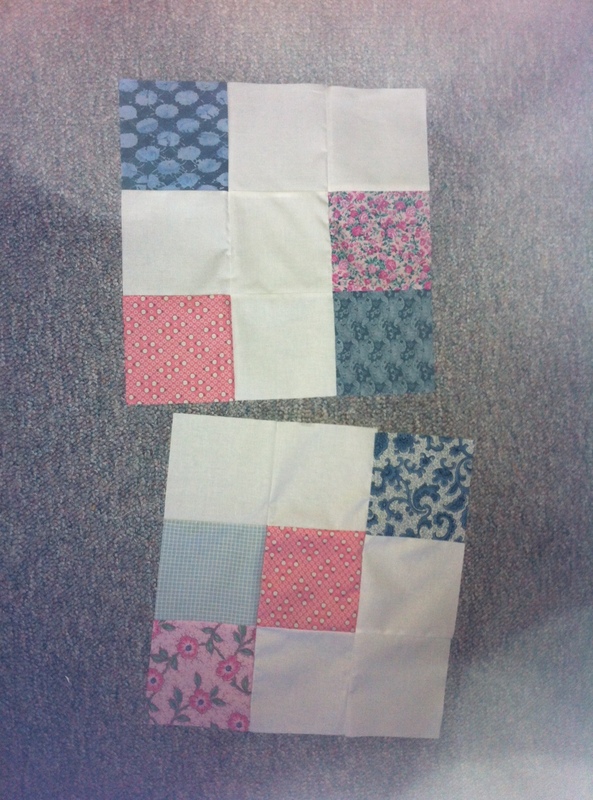 All from the simple recipe of five white squares plus two different colour prints in each of two colours, for a total of nine five-inch squares. 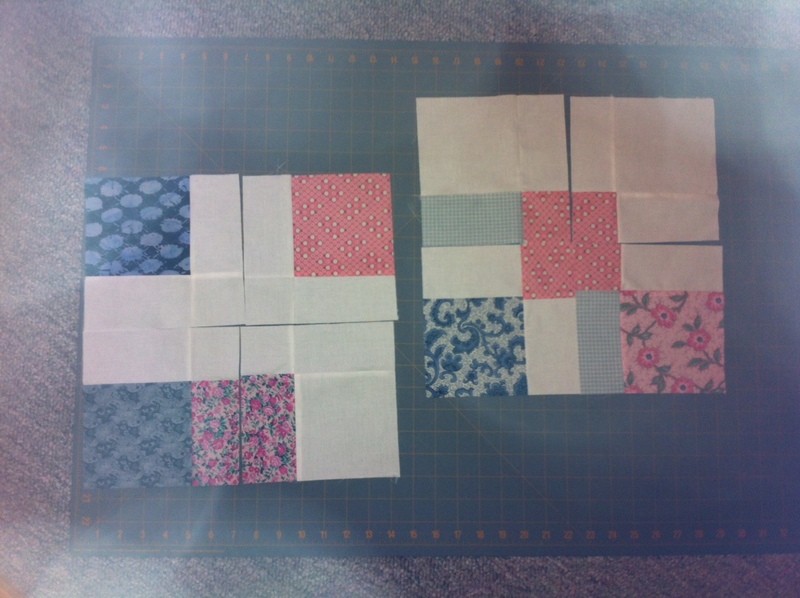 Really the one time where you might choose to take a seam ripper to it would be if you places four white squares like a four-patch, because then you’d end up with a seven-inch square of white fabric with seams across it, and why would you want to do that? 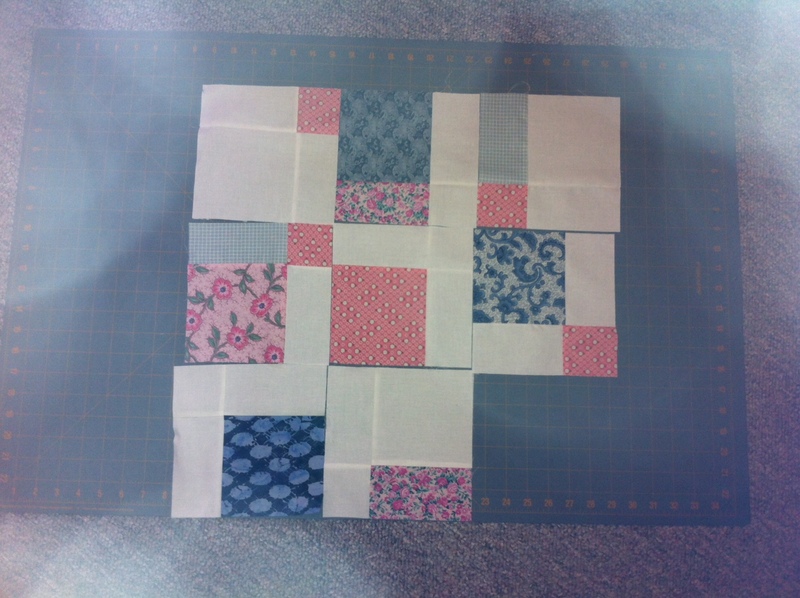 This is a fast way to make Andrea Balosky‘s Odd Couple blocks. I know I have her book Transitions: Unlocking the Creative Quilter Within, and I have read and re-read it many times, but right now it’s nowhere to be found, alas! You can see my first disappearing 9-patch here, which also has a link to a handy YouTube tutorial on how to make it turn out the way you want it to! I have to wonder whether someone sat down and cudgeled their brains to think up a new block, or whether it was a frustrated quilter who just. didn’t. have. the. energy. to. rip. one. more. seam.